So we were at Safeway buying wine for the Xmas party we're at (complete with medieval swords and thrones). 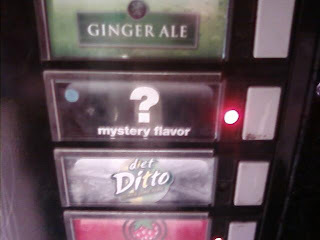 This selection was on the 35 cent soda machine. Too bad it was sold out or I would totally have rolled the dice.